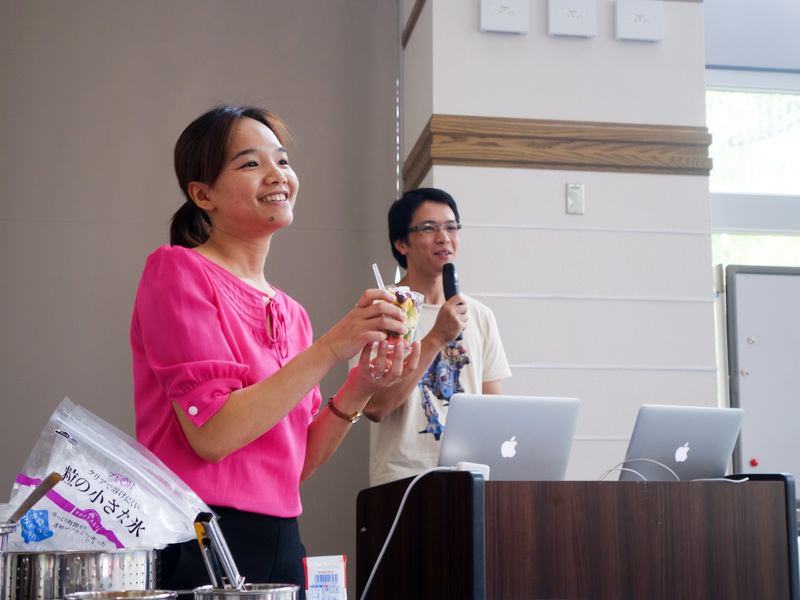 Le Quynh Giang and Mai Chi Thanh demonstrate how to make Chè Trái Cây, a popular Vietname fruit salad style dessert. As is customary, the Tea Time begins with an introduction of a refreshment or snack. Chè Trái Cây, we learn from presenters Le Quynh Giang and Mai Chi Thanh, is popular as a street food, and eaten all over Vietnam’s countless cafés – a remnant of its French-colonial past. 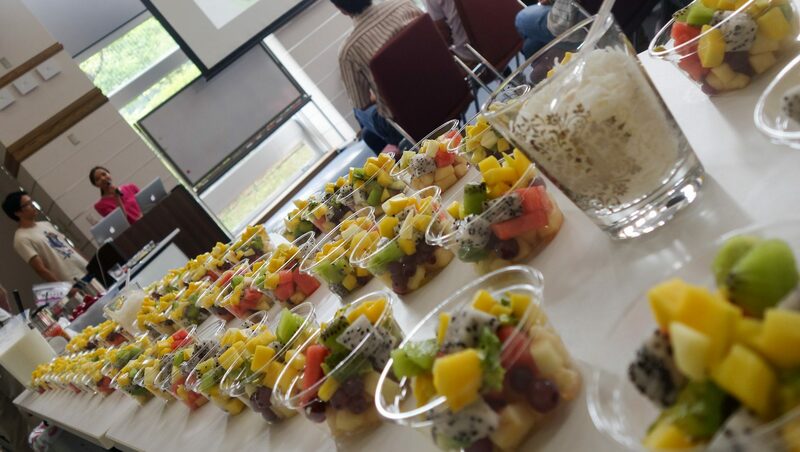 It is made from loads of fruit (mango, papaya, pineapple, jackfruit etc. are traditional, but you can be a hero and add strawberry, kiwi, and also whatever you like) that is cut into cubes, and then covered in coconut milk and/or yoghurt. A veritable delight. 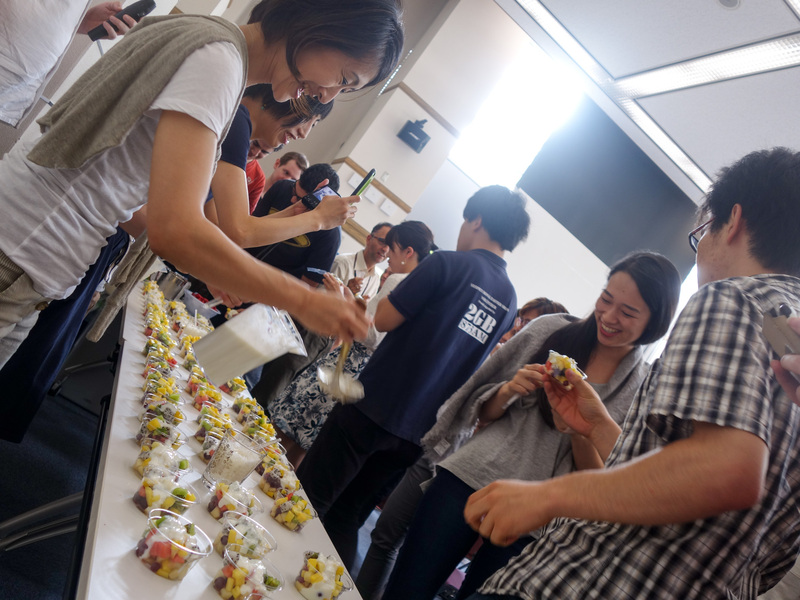 No one can escape the joy of fruits topped with yoghurt and/or coconut milk. Fumiya Nakamura presenting his road to NAIST. 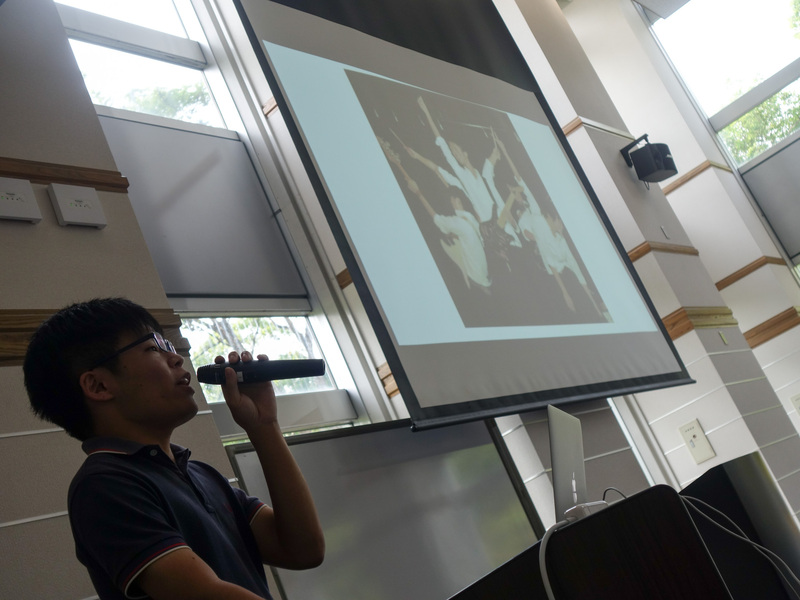 In the remaining time, Fumiya Nakamura talked about his time at NAIST and in Japanese university, and Belgian exchange student Arnaud Delmotte introduced Parkour, a recently popular inner-city sport from Paris, as well as the NAIST Circus Club which meets up weekly for juggling, slacklining and more. 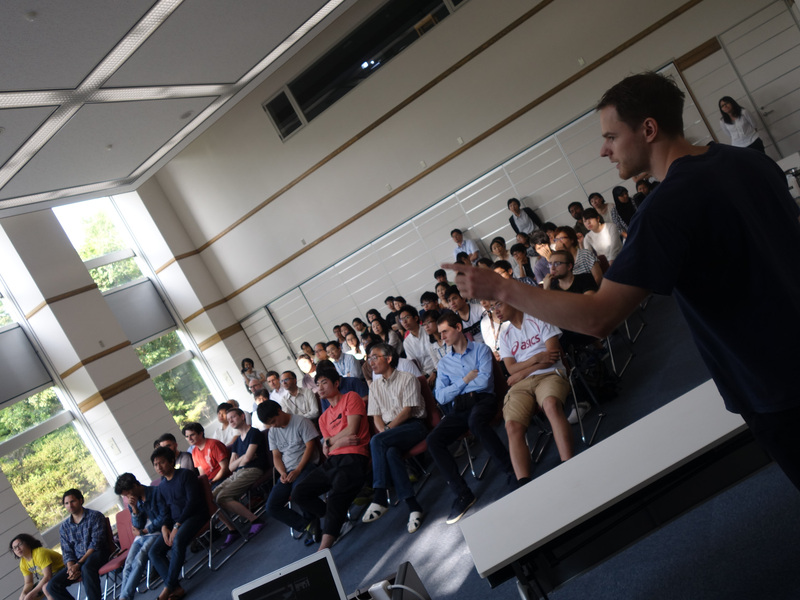 Arnaud Delmotte, head of the NAIST Circus Club, gives an introduction to Parkour. Do you have a hobby to share, or a dessert to prepare? 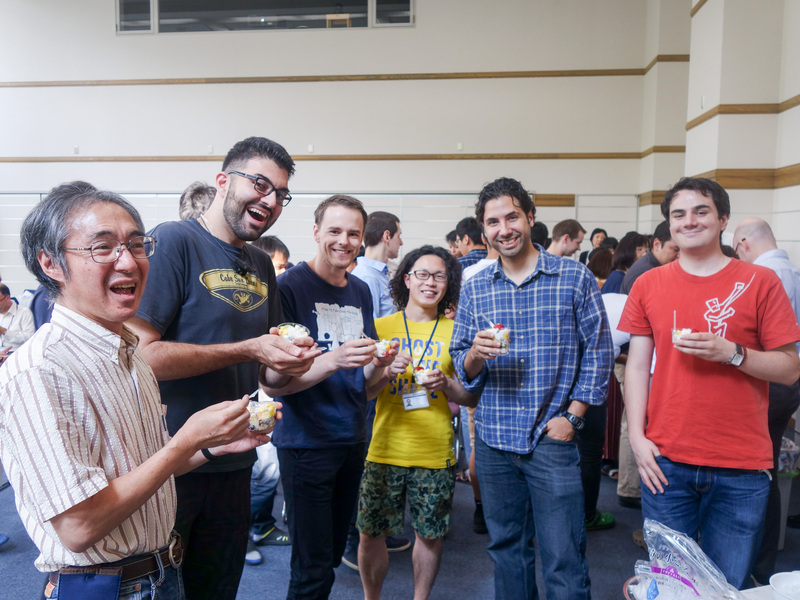 Then write an email to kokusai@ad.naist.jp to be a presenter at the next Tea Time. Presentations are open to everyone and generally in PechaKucha format. Previous PostWhat’s up, Doc?Next PostMake the campus clean again!